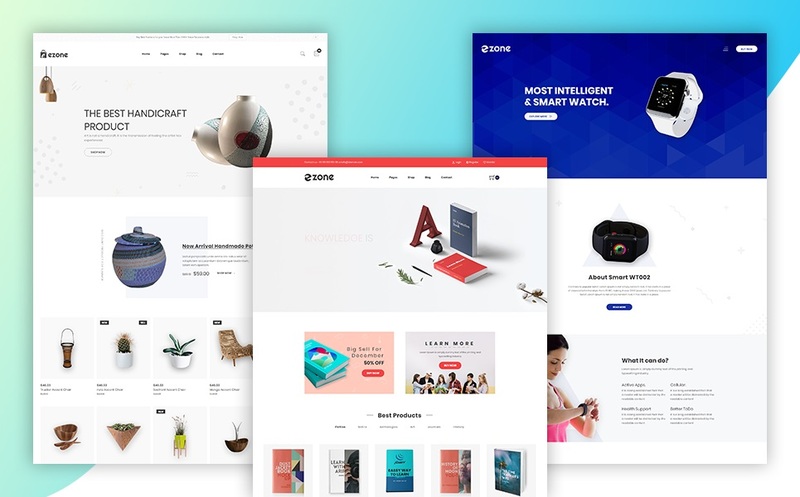 Ezone – eCommerce HTML5 Template is the best eCommerce website template ever created within a polished and resourceful HTML5 framework. You can’t go wrong by choosing this amazing eCommerce template for your fashion, apparel, shoes, jewelry, gadgets or any other store. Moreover, there are 11+ Home Page, total 40+ Pages, 5+ Blog Pages, 7+ Shop Pages, and 9+ Product Details Pages. Most importantly, the homepages are made on the different purposes. It can meet the needs of any niche, such as Fashion 1 & 2, Fruits, Book, Electronics 1 & 2, Food, Furniture, Handicraft, Smart Watch, and Sports. Every home layout is predefined, you won’t have to give any extra efforts, and even you will be amazed with its power!